UPDATED! This list of resources was expanded and updated to include nine new ad networks. Enjoy! There’s no doubt about it — Google and Facebook have become the most popular advertising platforms. 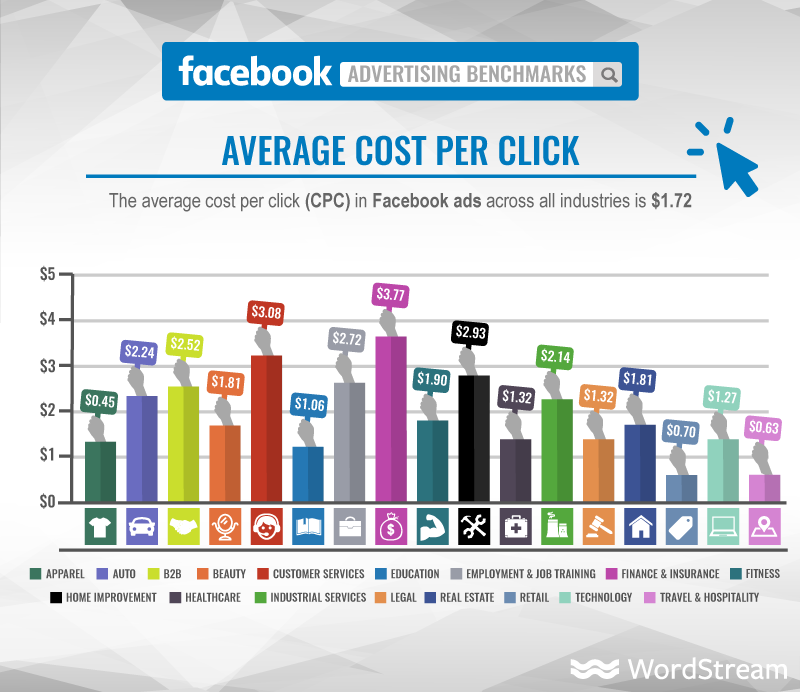 Over 3 million businesses advertise on Facebook and 1.5 million businesses are advertising through Google AdWords. But just because these two giants are the most used platforms for online advertising, doesn’t mean that you shouldn’t take advantage of other ad networks as well. If you’re sick of competing against hundreds of other companies for the attention of the same market share or tired of paying the increased CPC or CPM fees that all these other advertisers drive up, don’t feel that Google and Facebook are your only two options. There are plenty of other ad networks out there that’ll help you open new channels of growth— and plenty of great reasons to use them. Facebook and Google are great platforms for driving targeted traffic to your websites or social profiles. However, there are a couple reasons to consider alternatives. First of all, there’s the cost factor mentioned earlier. The cost of advertising on the Google and Facebook networks is pretty high, given the amount of competition from other bidders. In addition, both Facebook and Google have implemented stricter restrictions on advertisers, which makes it difficult for businesses in certain verticals to use the networks effectively. These include companies in the adult, pharmaceutical, gaming and weaponry businesses, as well as affiliate marketers. What Factors Should You Take Into Consideration When Choosing Other Ad Networks? There are many excellent ad networks out there to choose from, but which one is best for your business model? In 2018, the question is no longer “is mobile marketing important?” but rather “mobile marketing is important; now how do I take advantage of it?” People still use different devices for different reasons. For example, desktop computers are still used during the workday (at work), but mobile devices are used more during the evening for that audience and, of course, they are used day and night for many people. More than 62% of people made a purchase on a mobile device, only a third of consumers used both a mobile device and a desktop for the same purpose, and 80% of consumers used a mobile phone to research products and prices. Today’s ad networks offer much more sophisticated targeting options than ever before, such as geographic location, demographic data, device, income and other elements. Some also include retargeting features, which enable you to put your ads in front of customers who have already visited your website. This is an incredibly valuable option, as conversion rates on retargeted traffic can be double that of standard advertising. Familiarize yourself with the different options each network allows before deciding which is most appropriate. Many of the ad networks listed below allow you to have your ads placed on random websites in their inventory. There are pros and cons to this option. The downside is that your ads may not be displayed on the highest quality or most relevant sites in the network. On the other hand, this can be an efficient way to test multiple sites to see which ones are consistent with your branding and traffic goals. 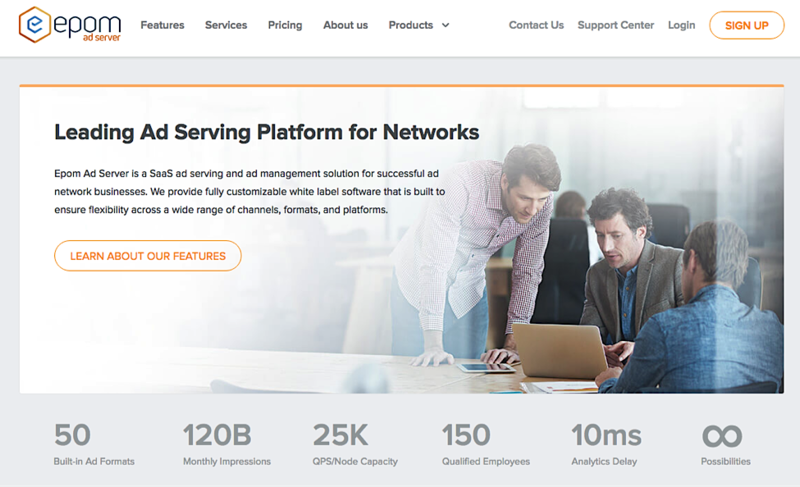 AdXpansion advises customers to consider using its RON (Run of Network) option, as it’s a great way to generate a lot of exposure at low CPM bids. Large ad networks typically work with thousands of different publishers. Try to find out which publishers are in their inventory and see if they’re relevant to your target audience. Really, there’s no point running ads on websites that your target demographic isn’t viewing. There are many different factors that you need to take into consideration when determining where to run your ads. Since testing a new network requires an investment of both time and money, it’s important that you figure out which ad networks are best suited for your business first. That said, remember that you aren’t required to stick with the first ad network you test. If you’ve given a network a good try but aren’t seeing the results you need, don’t be afraid to pick another option from this list and try your luck elsewhere. ONE by AOL (formerly mmedia) is a self-service mobile advertising platform that runs ads across nearly 50,000 mobile applications and websites. It provides a lot of flexibility with targeting, bidding and customizing creatives. There’s no minimum deposit, which makes this network ideal for mobile advertisers that are trying to get started on a very small budget. Airpush is a mobile advertising network that allows advertisers to reach viewers on over 150,000 applications. Airpush prides itself on transparency and all app users have opted into their ads, which means that users viewing these ads should be more receptive than customers on many competing mobile ad networks. Inmobi is a mobile ad solution that offers some extremely unique features to maximize your conversions. The developers have carefully studied customer behavior to understand when they’re most receptive to marketing messages and most likely to make key buying decisions. Give the network’s Moment of Maximum Opportunity feature a try to maximize your mobile ad conversions. Leadbolt was originally founded as a CPA network for web traffic, but was later reorganized as a mobile ad network. Today, Leadbolt allows advertisers to choose between self-serve and full service platforms. They also offer real-time bidding, which is perfect for advertisers that don’t want to lose money overbidding for traffic. Ad Recover is an ad network that works by recovering your ad blocked inventory. Because of this, the network are able to monetize this in a way other publishers are not able to, which gives you a larger range of publishers to deploy your ads on. Conversant Media is a renowned advertising platform that offers its users several different advertising options. You can advertise on some of the publications they have developed, including Foxtel or Vice, or use their native ad services, such as Largetail and Outbrain. Exponential is a global digital agency that connects advertisers with over 600 million daily users. They are one of the only advertising networks that allows you to market to viewers on multiple devices, enabling you to create highly targeted ads that provide a uniform experience across different devices. Their responsive ads allow you to create a consistent branding campaign, regardless of the devices on which you reach your viewers. 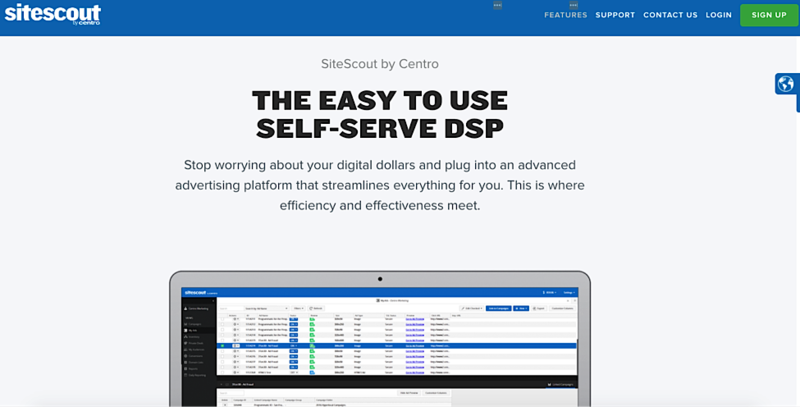 SiteScout was the first self-serve media buying network and remains the largest to this day. The company currently serves 31 billion ads per day across nearly 70,000 different websites. SiteScout offer real-time bidding and reporting, which enables advertisers to keep close tabs on their campaigns and optimize them for the highest possible ROI. Advertisers can also use the SiteScout platform to reach consumers via other networks such as Google, Appnexus and Adtech. Rocket Fuel is a media buying platform that leverages artificial intelligence to help advertisers boost their ROI. Advertisers can use the network’s proprietary data to create personalized ads to engage with customers in new and innovative ways. IgnitionOne is a cloud-based digital marketing platform that offers a wide array of services, including media buying, email marketing, search and social. Advertisers can target customers by device, geography and observed behavioral patterns, while the network’s big data solutions allow you to identify the ideal time to serve ads to customers in order to maximize your conversion rates. Adknowledge is another multi-solution ad network that lets advertisers reach customers on video sites, social media platforms, display networks and mobile apps. They carefully profile customers to help you deliver your message to the most interested users. The Epom ad server lets advertisers reach customers with display, video and mobile app ads. One of the unique selling points of the Epom Ad Marketplace is that they offer a 30-day trial through which you can receive up to 1 billion free impressions. They’ve also partnered with a number of other ad networks such as InMobi, AdMob and Millennial Media to give advertisers broader reach and more targeting options to boost their campaigns. Despite what you may think of the site, according to Alexa, Yahoo! is the sixth most visited website in the world. Advertisers can use the engine’s advertising network to reach over 1 billion active monthly users and target them based on geography, age and a number of other demographic factors. Their search ads have been popular for years, but Yahoo! also offers native and video ads across both web and mobile devices. Propel Media (formerly TrafficVance) is arguably the most popular pay per view (PPV) advertising solution in the world. Use it to reach customers through contextual textlinks and display ads. As you’ll see, Propel Media makes the platform as effortless as possible with visualized analytics that help you to monitor trends and editing features that help you easily edit your campaigns. Instagram is a mobile social networking site that focuses on sharing photos. The site reportedly has over 600 million monthly users and is a great platform for engaging with customers who enjoy consuming visual content. LinkedIn is the premier social network for professionals, so it’s a great place for B2B advertisers to promote their messages. Advertising on the site is self-service and can be targeted by geography, job function, seniority and industry. It’s one of the only ad networks that lets you target viewers by their role in an organization, and they have the best data on job titles, company size, industry, and more. This makes it much easier to build an audience that represents potential customers. Even better, they report back to you about how your ads are performing on all of those same metrics, even if you aren’t targeting on them. LinkedIn has 4 main types of ad placements, most of which are self-serve. Sponsored Content. These are posts that show up in the newsfeed, just like you’d see with Facebook ads. Sponsored InMail. Paying to message people direct to their inbox. It’s essentially simple email marketing for LinkedIn. Text Ads. Simple display ads that show above and to the right of the news feed. Dynamic Ads. Also displayed to the right of the news feed, but offering more features that the user can interact with. Only available to clients who spend at least $25,000 in a single quarter (not self-serve). Viewbix is a very interactive tool that lets you turn video content into compelling ads, which can then be served on Facebook, Twitter and other social platforms. You can also embed the videos on your own site or on other publishers’ websites to maximize your exposure. Plenty of Fish (PoF) is an online dating site that serves over three million active users. 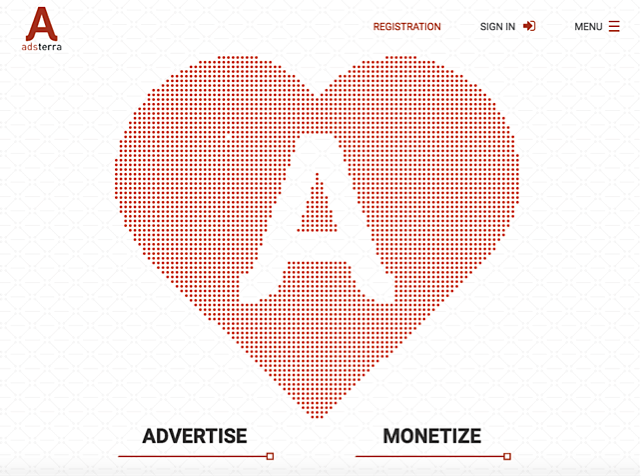 Since users have to fill out detailed profiles to join, the site’s ad network enables advertisers to carefully target prospective customers with CPM or CPC display ads based on the information they’ve provided. Overall, it’s a great place to test creatives for your target demographic before using them on other sites. YouTube is the most popular video sharing site and the second largest search engine in the world, and its advertising network is just as powerful. YouTube advertisers can use the service to run highly engaging display or overlay ads in videos, in addition to targeting the people viewing your ads by demographics, topics, keywords and interests. Atlas Solutions is a Facebook affiliate. It’s a rich media advertising network with a variety of tools that help advertisers realize the best possible ROI from their campaigns. 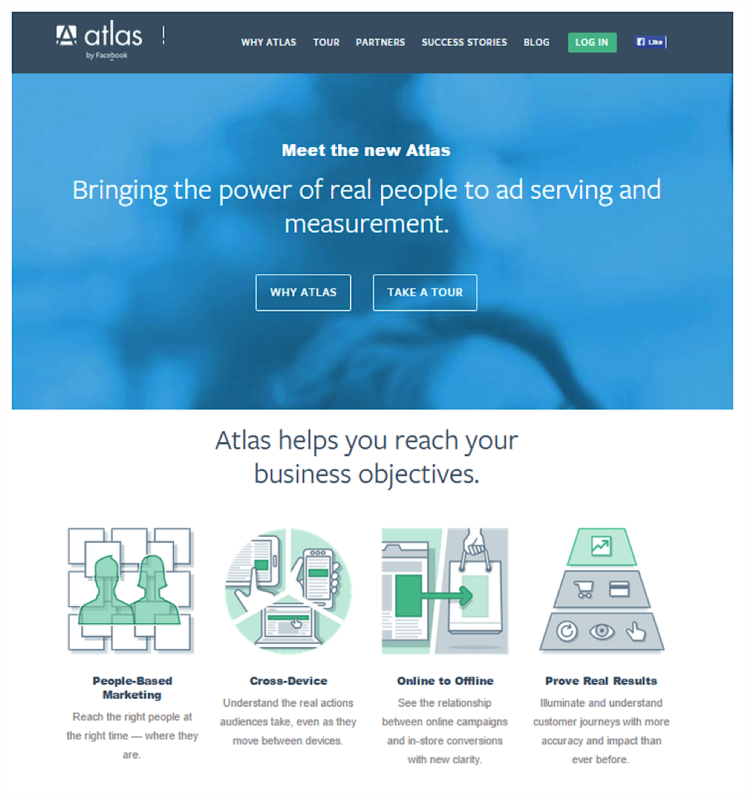 Atlas offers unique targeting options, allows you to reach the same customers across different devices and provides analytics to measure the impact of ads for offline conversions. It’s one to watch if you’d like to take advantage of Facebook’s user information without competing directly on the network. Adroll is an advertising platform that offers retargeting and multi-device display advertising services. Their retargeting feature is available for ads on Facebook, Twitter and countless other sites, while their staff offers excellent support to help you leverage retargeting to its fullest potential. Check it out if you’re new to retargeting and need some hand-holding to help get you up-to-speed. Perfect Audience is another retargeting solution for Facebook, Twitter and web display ads. The service is meant for targeting the most recent visitors that used your site, as they’ll likely be the easiest to convert. If you’re on the fence about the service, know that you can try it free for two weeks and receive a $100 credit to help cover your costs. Chango is another retargeting advertiser platform that lets you connect with your customers in real-time. It’s one of the most comprehensive platforms out there and can be used to engage with customers on social, display, mobile and video. It also has options for bringing new customers to your site, but it’s particularly effective for scoring previous leads and delivering engaging creatives to encourage them to convert. Marin Software is another cross-device advertising platform that helps you maximize your ROI on a variety of platforms, including Facebook and Twitter. Marin Software also offers a series of effective analytics tools to help measure the performance of your ads and give you the insight needed to optimize accordingly. Commission Factory is Australia and Asia Pacific’s leading affiliate network, but with a global remit as a result of its partnerships with Awin and Shareasale. One of the unique selling points of their network is that they use a Commission Per Sale (CPS) model, allowing advertisers to run cost-effective performance basis campaigns. Cart abandonment, behavioral targeting, and paid search are other complementary solutions that can be used to boost advertiser campaigns. Adblade is a premium CPC ad network of 1,000 branded sites that reach over 300 million monthly users. Unlike many other ad networks, the company is constantly monitoring their site inventory to make sure that only the high quality publishers are allowed to serve their advertisements. Outbrain is a great option for native advertising. However, the site has become much stricter in the past few months about the types of ads that they’ll allow, after coming under fire for serving up misleading ads. Advertisers can’t use it to market thin websites or to link to obvious sales landing pages, but if you don’t fall under one of these categories, you’ll find it an easy way to score some quick eyeballs from reputable publishers. Taboola is another native advertising platform worth looking into. They claim to have wider reach than Outbrain and other native ad providers, including placements on the following publishers in the Taboola network: The Motley Fool, The Atlantic, Ben & Jerry’s and Netflix. Revcontent isn’t as large as Taboola or Outbrain, but it’s growing remarkably fast. The Revcontent platform delivers 100 billion content recommendations a month, so it has plenty of volume to test your native ads campaigns. Your brand can use the site to reach customers through Forbes, NBC News, CBS Local and many other highly regarded publishers. TrafficForMe is one of the oldest email marketing companies in the world. They’ve been testing traffic since 1999, giving them the knowledge and experience needed to get your message on the right lists. The network can deliver up to 100,000 clicks a day, so there’s sufficient volume for nearly any campaign. Opt-Intelligence is an advertising solution that specializes in helping users build their email lists. Advertisers can promote their email opt-in forms to customers across hundreds or top-tier websites and mobile apps. Use it if your own email marketing efforts have been lacking, and you feel a broad appeal could be beneficial for your brand. Dedicated Emails is an email marketing company that originally started off serving companies in the self-help niche in 1997. A couple of years ago, they expanded their services to companies in other verticals, allowing brands in a wide variety of niches to use Dedicated Emails to generate thousands of targeted leads. Operating since 2008, BuySellAds offers advertisers a mix of display ads, media buys, sponsored content and custom unit opportunities. It also boasts 2 billion guaranteed ad impressions a month, working with 1,500+ well-known publishers like the Atlantic, NPR and PBS. Overall, it’s a great way for businesses that have proven their paid advertising ROI to scale their campaigns. Famebit is a self-service platform for video marketing that connects advertisers with YouTubers that can expand their reach to related customers. The service allows you to collaborate with YouTubers on your own terms, so it shouldn’t be difficult to find an influencer who’s willing to deliver your message to your target customers. The podcast business is booming, and if you want to get your message in front of this captive audience, Midroll is your advertising partner. The network currently works with 120+ different shows that are downloaded more than 15 million times a month, in addition to providing advertisers with 24/7 access to spots and metrics. SRDS isn’t an advertising network, but it contains a ton of information on other advertising networks. They collect every bit of data on advertising networks that they possibly can to help advertisers make more informed campaign decisions. And though the network initially began with radio, newspaper and television advertising, they’ve since branched out into the lucrative world of digital media. 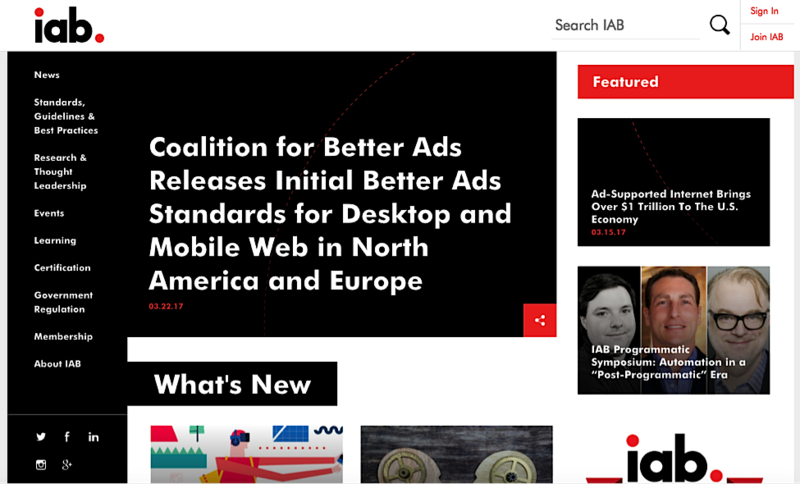 IAB is a free directory that serves companies across countless verticals. It’s an option to reach potential customers on a very limited budget, but paid members can receive much more exposure, since their listings receive preferred placement in the search engines. Hoovers is a business intelligence company that has provided information on various industries for the past 25 years. The site also offers profiles on numerous businesses and allows companies to be listed for only $49.95 – a one-time fee that can result in significant exposure for your brand. TrafficJunky is a run of network (RON) ad platform that specializes in CPA and CPM traffic for companies in the adult vertical. The company serves ads to 141 million viewers a day and is widely considered to be one of the most prolific sources of traffic for adult advertisers. ExoClick is another adult ad network that allows users to both try RON traffic and target specific publishers. 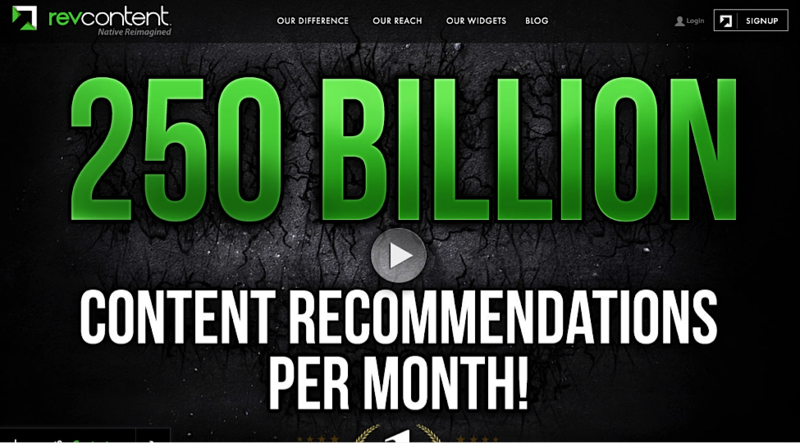 The company serves a remarkable 150 billion ad impressions every month. Some features include frequency capping and a variety of retargeting options, which can significantly boost conversion rates for many campaigns. JuicyAds is another ad platform for the adult industry that serves over a billion impressions a day across a network of 136,000 websites. The company’s customer service team provides personalized services and helps advertisers use tailored display ads to engage viewers and boost conversions. You can choose to run ads on either a CPC or CPM basis, but over 90% of advertisers choose to use CPC to limit the risks of low click-through rates. AdXpansion is a network that serves over 400 million impressions on adult websites every day. While their reach isn’t as high as JuicyAds or Exoclick, they have some very high quality publishers in their network. They also offer smart bidding options for both CPC and CPM campaigns, which can be advantageous for you depending on your conversion goals. Plugrush was originally used by adult websites to trade traffic with one another. However, it has since been used to buy and sell traffic across a broader number of industries as well. Currently, the network claims to serve over 200 million impressions a day across mobile and web devices. BookBub is a site that gives millions of readers great deals on popular books. Readers subscribe to their email list to receive new book deals, and advertisers can pay to have their book promoted on the platform. If you have a lead magnet that’s performing particularly well for your business, you could upload it as a free (or paid) Amazon Kindle book. Then you can promote it on BookBub to reach readers who are interested in your content. You can get specific with your targeting on the BookBub platform as well: target by author interests, category interests, and more. On top of that, BookBub ads aren’t subject to any sort of editorial selection process, meaning that as long as the book complies with their policies, it can be promoted. Adsterra is an ad network that generates over 10 billion geo-targeted ad impressions every month. According to their site, they’ve had over 20,000 successful campaigns, over 6000 leads generated in the last month, and over 190 geo-targets covered. If you advertise on their network, you’d get your own personal account manager, and you choose your payment model (i.e. CPM, CPA, CPL, CPO, etc). AdSterra offers various ad formats for both web and mobile, including interstitial ads, display ads, direct links, and more. Ad Maven positions itself as “the best pop under network for publishers.” They’ve got other monetization strategies as well, including banner ads, light boxes, interstitial ads, and slider ads. This company serves hundreds of millions of impressions in over 200 countries so advertisers have a wide range of options when it comes to geotargeting. One of the key elements that separates them is a well-constructed RTB system, which helps them give you precise targeting with your ads. Ad Blade is a content-style ad platform that advertisers can use to deploy their content to specific target audiences across the web. They’ve got a variety of big name publishers on their network, including Fox News, ABC, Yahoo, and 1,000 others. They’re vigilant about screening which websites they allow onto the platform, which means that you won’t have a bad ad placement on a site that you don’t want to be associated with. Native ad placement. Vibrant can place your ad in the middle of premium content on different publisher sites so that it gets seen by an engaged audience, and so that you establish consumer trust. Real-time targeting. Vibrant analyzes the content that your ad appears in, so that it also appears in the right context. Designed to engage. Vibrant takes branded content and deploys it in such a way that it tells your brand’s story through interactive experiences. Clicksor is a advertising network that’s based on contextual advertising, and deploying the most relevant ads to the right audience. Their algorithm automatically matches your ads to the most relevant publishers within their network. They support graphic banner ads, pop-under ads, or interstitial ads. They also offer 24/7 customer service, and cover 196 countries with their geo-targeting. Over the past decade, Spotify has taken the music industry by storm. Boasting over 140 million users, it’s one of the largest streaming companies on the market. About 50% of their users have a free account, which means they pay for the service through advertising. Since the service is relatively new, they targeting is a little limited but I expect they’ll add more in the near future. Their main selling points are that they are highly integrated into the lives of users (2+ hours of streaming daily) and that their real-time streaming data lets them tap into the personalities and activities of users. One study in the education space found a 24% increase in brand recall following an audio ad campaign. At the moment, most of their services require that you contact and work directly with Spotify or through a partner agency, like Single Grain. But they do have a self-serve option at Spotify Ad Studio which is currently accepting a waitlist. This will let you create and upload you own 30-second audio spot to serve between songs. Amazon owns a massive 44% of the e-commerce market share in the U.S. When customers want to buy a product, most often they skip the search engines and jump straight on to Amazon. To help sellers reach those customers, they’ve created Amazon Marketing Services (AMS). The system is completely self-serve, so you can launch ads ASAP (although they only let you advertise products that are on sale within their ecosystem, no outbound URLs). Headline search ads – which display 3 or more products at the top of the search engine results page (SERP). Sponsored products – which appear at the top and bottom of SERP with organic listings (like AdWords on Google). These can also display under the “Related Products” sections at the bottom of other product pages. Display ads – which are essentially banner ads that display on the right-hand side of some screens. One bonus is that they allow you to do conversion tracking to see how your ads are performing. This is big because currently there is no way for outside advertisers like Facebook and Google to track conversions post-click. Facebook chatbots are a great way to communicate with your customers online, and you can use them to automate processes and collect information. For example, our Single Grain Bot is used to conduct a quick free consultation. It qualifies the lead in a fun, easy way. Once customers have engaged with your bot, you can then send them marketing messages in the future, just as though they gave you their email address or phone number. But because the process is automated, Facebook wants to make sure you don’t get carried away so they do have some strict policies on how frequently you can message a customer for marketing material (you can only send one message outside of the 24 hour window since the user has last messaged you). To get around these restrictions, you can use two other features: subscription bots and sponsored messages. Subscription bots work more like traditional email lists, with the user asking you to send them frequent updates about deals or other interesting stuff. Sponsored messages allow you send messages outside the 24+1 policy. But those users still have to have engaged with your bot at some point in the past and cannot have blocked you. You can easily set up a chatbot today using a third-party tool like ManyChat. Google and Facebook are great, but they definitely aren’t the only ad networks in town. Take the time to make yourself aware of other options out there that are more flexible, cheaper and may even be a better fit for your audience. New ad networks are being launched every year. Combining these new opportunities with the platforms that have been around for years will give your business the best odds of maximizing its investment in paid traffic.